If your autumn travels found you in the northeastern United States and Canadian provinces this fall, you likely witnessed the brilliant explosion of nature’s colors from leaf change. 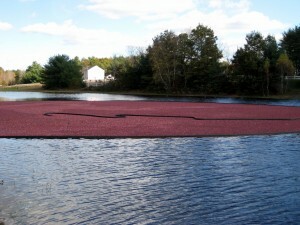 And with luck, you may have stumbled upon the cultivated wetlands known as cranberry bogs. Both of these colorful vistas herald the end of the growing season, gathering the harvest and preparing for winter. In late autumn, resources dwindle and careful planning could mean the difference between scarcity and abundance. From a Feng Shui perspective, the autumn season represents the transition from yang to yin energy and yielding Earth to sharp Metal. It is linked to durability, strength and structure. As in nature, the season reminds us to slow down, collect our thoughts and assess our value. 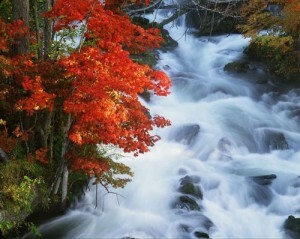 Vibrant rainbows of fall foliage are perhaps nature’s last gasp before yielding to the monochromatic shades of winter. Burnt orange and magenta provide a sharp contrast on an emerald green backdrop and cranberries are floated to the surface of a bog creating a blaze of brilliant crimson atop deep blue water. 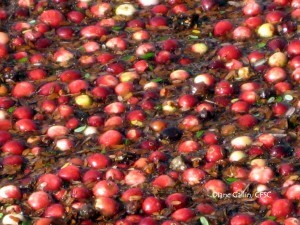 But despite their picturesque and placid exterior, cranberry bogs disguise very harsh growing conditions beneath the surface. Formed by glacial shifts thousands of years ago, these wetlands contain clay, sand and rock with cold, mostly acidic water – not exactly hospitable conditions for most plants. But the evergreen shrubs that produce nutritious and useful cranberries thrive in these marshes because they are durable and have adapted to their habitat. We often underestimate the importance of resilience while raising children, growing businesses or planning lives, dwelling instead on expanding and reaching. But learning to adapt and embrace change serves us well along the way, especially when diverted from our path. As you gather this month to give thanks for your harvest, reflect on the strength of your character and remember just how resilient you are.